1. If you want to race KOH: Are you pre-qualified for the race or do you need to enter the Last Chance Qualifier? Entry into the KOH race is for drivers who are pre-qualified or gain a place via the Last Chance Qualifier. To pre-qualify you must have gained an entry spot at either the previous year's KOH; at one of the previous year's Regional Series races; at the previous year's Nitto Tire National Championships; be a previous KOH winner; be an OG entrant (one of the original 13 drivers who started the inaugural race); or have an entry at the promoter's discretion. If you are not pre-qualified you are able to enter the 4 Wheel Parts Last Chance Qualifier (LCQ). This is a time-trial event held during race week, and 10 percent of drivers entered into the Last Chance Qualifier will make it into KOH 2015. You can enter the LCQ in the same way as if you were entering any of the other races during KOH week, by following the instructions below. 2.Make sure your vehicle meets our tech rules and you have proper safety equipment. 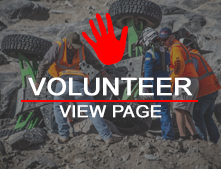 Your 4400 ULTRA4 vehicle must meet the tech and safety requirements outlined here: Rule book See Section 8.5 for specific 4400-unlimied tech information. 4. Pay for your race The address to send checks to and online payment options are all available once you have registered online and signed up for the event. 5. Sign up for USAC Insurance All drivers and co-drivers MUST have either annual or single use USAC insurance purchased. Pre-purchasing your USAC insurance online saves tons of time on site. Costs are still being determined and will be emailed to already registered drivers once they are known. 6. Be prepared for additional mandatory costs At KOH there will be additional mandatory costs (including USAC insurance mentioned above) including but not limited to:Yellow Brick trackers, pit crew bands, tech fee (included in an annual USAC membership, or charged separate if not paying for an annual USAC membership). Payment and pricing for these costs will be emailed to you as they are known. 7. Show up and race! See you soon.